The crisis caused by the Internet oligopolies has us careening toward regulation that will likely entrench those oligapolies -- to the detriment of the consumers we seek to protect (and the innovators who might benefit us). One need look no farther than yesterday's front-page stories in both WS Journal and NY Times. However, many recognize that the real problem with the Facebook-Google duopoly on advertising stems from "the original sin of the Internet," the reliance on the ad model that mis-aligns incentives by making users "the product, not the customer." The problem is that few see how to fix that underlying problem, so very few are even trying! How can we get services that serve all of of us affordably? It seems impossible (as Zuckerberg, himself, explains), but this is just a failure of imagination (as called out by such notables as Tim Berners-Lee and Jaron Lanier). My previous post explains in some detail how Zuckerberg has just thrown up his hands, and how we can all be far more imaginative about that. But let's consider how our current response is likely to make matters even worse. The problem is that we are moving to regulate the symptom instead of treating the disease. Some view this a a simple matter of regulating data privacy and control, but as many now observe, regulating that will concentrate even more power in the oligopolies. Such regulations (going into effect with Europe's General Data Protection Regulations next month, and increasingly likely here) will be cumbersome and costly in a way that will constrain innovation and market forces. They may bring some relief, but at what cost? As Zuckerberg testified: "A lot of times regulation by definition puts in place rules that a company that is larger, that has resources like ours, can easily comply with but that might be more difficult for a smaller startup." And there is high risk that regulation will overshoot. And on the flip side, many critics of regulation point out that many consumers care little about data privacy and control as long as they get services they want at affordable cost (as advertising enables). That brings us back to the question of business models. With or without regulation of privacy, will consumers really get services they want, if we stick to the ad model? Maurice Stucke offers this analysis in Harvard Business Review, "Here Are All the Reasons It’s a Bad Idea to Let a Few Tech Companies Monopolize Our Data:"
Regulating data privacy and control will not eliminate most of these problems -- in fact, it may make many of them worse. As Tim Wu outlines in the Times, "Don't Fix Facebook. Replace It," what we really have here is failure to align business models. He quotes Walter Lippman on "free" TV (in 1959): it is ultimately "the creature, the servant and indeed the prostitute of merchandising." Things have only gotten worse, -- merchandising has gotten far more sophisticated, and we prostitute more and more of our life to it. This is not to say that there is no need for regulation of data privacy and control, but that it should be limited to areas that business model solutions can not address well. What we need is to move aggressively to change the business models. A key part of the issue is to ensure that users are compensated for the value of the data they provide, as outlined in a recent WSJ article by Posner and Weyl, "Want Our Personal Data? Pay for It." That can be done as a credit against user subscription fees (a "reverse meter"), at levels that users accept as fair compensation. That would shift incentives toward satisfying users (effectively making the advertiser their customer, rather than the other way around). Paying for user data is long overdue -- independent data agent "infomediaries" were proposed and richly explored in 1999, in Hagel and Singer's book, Net Worth. FairPay points to one possible market-based path to dealing with this high inherent variability in value -- as outlined in "Who Should Pay the Piper for Facebook? (& the rest)" (and in the rest of this blog and in a recent journal article). Companies like Facebook, Google, and Twitter could move in in that direction on their own initiative. But they are so seduced by their tens of billions of dollars in advertising that they see little reason to try. Trying might cost them in the short term, even if it could make them more profitable in the long run. One way to force the platforms to move toward business models to better serve consumers is with simple regulatory mandates, as outlined in my previous post: "require that X% of revenue must be user-derived by some date -- with X starting small, but then increasing in stages over time. As X increases, incentives for tolerating ad-related abuse would be reduced and offset by pressure to be customer-first. Let [each platform] figure out how best to do that, but give them targets over time, and hold them to it." This kind of light touch works well for vehicle emissions, as a market-based solution -- why not for Internet platforms? Our challenge is much like "the drunkard's search" (as illustrated above). The light of regulation is much brighter than the light of innovative business models. But the cure we seek is down that street. FairPay offers us a flashlight that points down that street. It is not yet clear how broadly and effectively FairPay can enable this kind of transformation of business models to work. But it illuminates a direction that should take us closer, if not all the way. Maybe others have better ideas, but FairPay is easy to try, and maybe better ideas will become apparent once we start down this road -- even if the flashlight of FairPay does not take us all the way. But in any case, it is urgent that we start moving in that general direction -- that is where the real cure is. Broad suggestions on opening up the platform oligopolies are in a post on my other blog: "Architecting Our Platforms to Better Serve Us -- Augmenting and Modularizing the Algorithm"
Update 2/26/19: My article in Techonomy, To Regulate Facebook and Google, Turn Users Into Customers. My article in the Journal of Revenue and Pricing Management, "A Novel Architecture to Monetize Digital Offerings" provides an overview of FairPay (summarized more briefly in the ESADE Knowledge article "Three building blocks to monetize a digital business," and previously in Harvard Business Review, "When Selling Digital Content, Let the Customer Set the Price."). The Facebook fiasco spotlights the perfect storm we now face, as the dream of digital media empowerment turns sour. Many have suggested a range of remedies. But at its heart this is a business model problem -- we may need a multi-pronged remedial effort, but without fixing the underlying business model, other measures will have limited effectiveness. We have not been imaginative about the business model -- but we can do much better. This post explains how. Two myths currently limit our collective imagination: the myth that advertising is the only possible business model for online companies, and the myth that it’s too late to change the way platforms operate. ...On both points, we need to be a little more creative. Create a new set of incentives and changes...will follow. Facebook brought this to a head, but the ugly glare falls on Google, Twitter, and others. Many rightly blame this “original sin” of the Internet ad model that enabled wide access to “free” services. It is now all too clear why it matters that “if you are not paying, you are the product.” We created an “attention market” monster that seeks only to "engage" us -- an economy of clickbait and misuse of our own data. That threatens our privacy, our mental health, and the very democracy we thought digital media would enhance. Internet services have lost our trust. How can we get them to serve our needs? We must realign basic incentives. It is true that many factors are at play: oligopolies fed by data moats and returns to scale; closed, opaque systems that confine us to anti-competitive “walled gardens;” amoral advertisers seeking profit from us; and even enemies of our democracy. We almost certainly need regulation on data ownership/privacy and concentrations of power -- but those will take time to shape, and they will always be crude and inflexible instruments. What we can do now, to facilitate all of the rest, is to change the fundamental economics of social media by introducing new and better incentive structures -- from the operational roots, up. 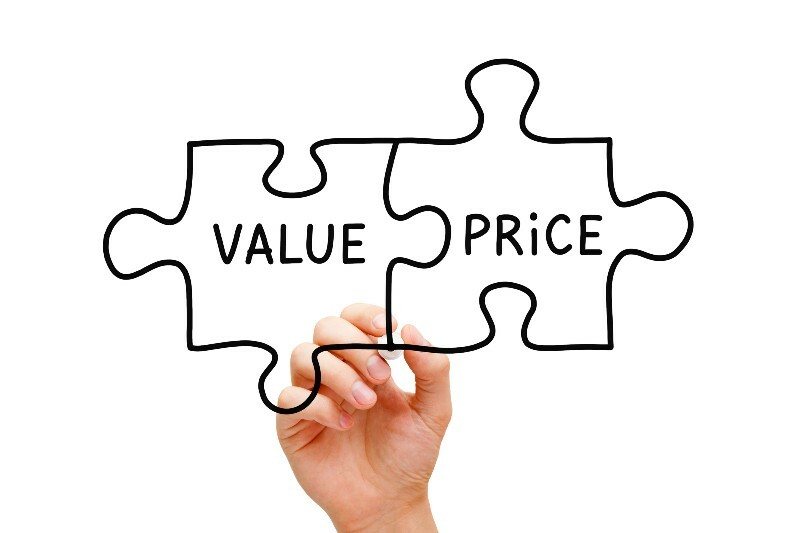 We need to align value creation and value capture to better serve users, and thus regain their trust. Facebook, Google, Twitter, and the others can move on their own in that direction now (and can profit from that). Lacking that, we can actively encourage competitors to do better. Doing this will change the incentives that drive our attention economy -- faster and more surely than regulation. ...But we may need regulation too. Many see this need for a new social contract, one that recognizes that if we are to have “our” media serve us -- as people and as citizens -- we must pay to make that sustainable. When we pay for our media, we become the customer they are driven to serve. We need to vote with dollars, not just “likes” -- to pay for what we value, and motivate our services to serve us. Incentive structures determine actions. Driving engagement to sell ads drives these services in the wrong direction. So, how can we re-engineer our incentive structures for digital media services? Zuckerberg fails to see that solutions are emerging to enable that “it be very cheap or free” for some, but sustained by user payments from others (those who can afford to pay a fair and sustaining price for the value they receive). That seems impractical only because we are stuck in our old logic. The old logic of scarcity, rather than the new logic of digital abundance. The old, but aberrant, logic of pre-set prices. In this digital age we can not only deliver services widely at very low cost, but we can mass-customize prices – not secretly, to exploit customers, but openly, in ways that customers buy-in to as fair. We are so used to the alienating 20th century model of mass-marketing based on pre-set prices (and driven by advertising) that we don’t see how consumers can work together with businesses to set customized prices that are fair for each of us. What is fair depends on realized value (who, what, where, when, how, and why) and on ability to pay. But now we can apply the power of digital to restore and improve on the principles of value-based pricing that humans have relied on for millennia to take those value factors into account. Doing that is not only good citizenship, but good business. We need to re-invent our business models and pricing architectures to apply a new logic more suited to our new digital economy. 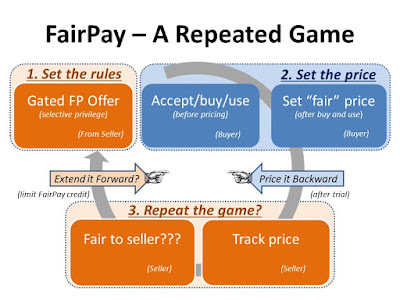 One architecture for moving toward such a new logic, called FairPay, has gained recognition for operationalizing a solution for businesses now (as outlined in the Journal of Revenue and Pricing Management, and a nicely illustrated summary of that, and previously in Harvard Business Review). The details will depend on context, and will need testing to evolve and refine over time, but the principles are clear and well supported. 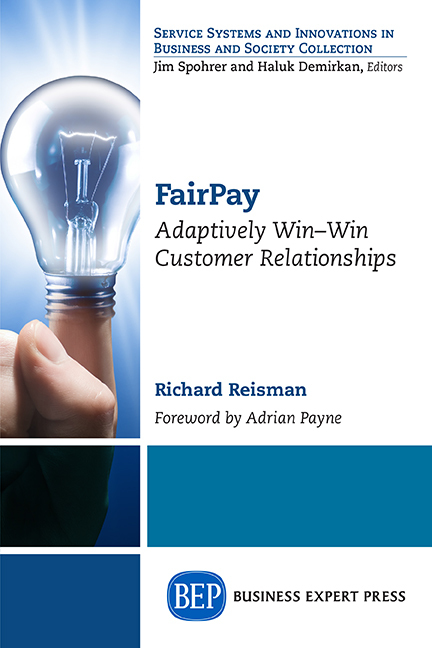 The FairPay architecture centers on the continuing relationships we have with our digital services providers. The digital economy facilitates and thrives on ongoing relationships -- many are awakening to the deep changes of our shift to "The Subscription Economy." Those relationships can be managed to work as a “repeated game” (see details) that motivates mutual cooperation, fairness, dialog, trust, and transparency – to keep the game going. We create a process that repeatedly customizes fair prices for the value realized in each relationship -- for consumers who may be rich or poor, heavy or light users, and tolerant or intolerant of advertising and uses of personal data. (See this detailed use-case example.) By doing that, these services can generate good revenue from most customers -- and can make judicious levels of advertising acceptable to many of them. Many are calling for similar shifts in our economics: rethinking the value of our data as labor, membership models, and even proposals to turn Twitter into a cooperative. 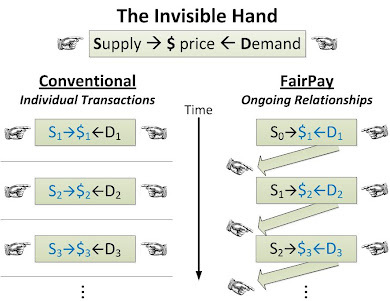 But FairPay shows how companies and consumers can embrace this new invisible handshake to move in desired directions now, fully embedded into routine operations, without waiting for new laws or new capital structures. By harmonizing fundamental business incentives in this way, we will break the vicious cycle of exploitation and abuse, make services both affordable and sustainable, regain trust between businesses and their customers, and shape a new social contract. Working under that new social contract will reduce the need for externally imposed remedies -- and better position us to apply external remediation to our markets where needed. Taking action now, at Facebook's initiative? FairPay is a fundamental architecture for ongoing business-customer relationships that harmonizes the entire spectrum of current practices ranging from conventional pricing to radical extremes like pay what you want. It is applicable to profit enterprises and nonprofits alike (and it is in the public domain, for anyone to apply). Businesses like Facebook can better understand their current incentive models from this value-based perspective, and can test and gradually introduce more innovative models in ways that ensure they actually make their incentives more win-win. That can both increase profits and also empower consumers, by creating more cooperative, transparent, and trusting relationships. Ideally, such a transition could be entirely self-initiated by Facebook (and the other platforms). This could include "reverse metering" to recognize and give credit for the value that users provide to Facebook, paying with their attention and their data. The same FairPay process can let users individually determine what level of advertising and data usage they will tolerate, in return for reduced payments. Even with a significant level of advertising revenue continuing, sharing that revenue with the customer would shift platform incentives toward satisfying users and providing ads that the customer considers relevant (effectively making the advertiser the consumer's customer). That reverse meter could also credit user-generated content and viral sharing. 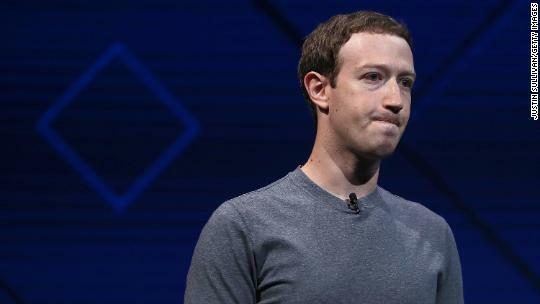 Simple trials at the margins could begin to shift some percentage of Facebook revenue to be user-funded, rather than ad-funded. Once trialed with privacy-sensitive and social-welfare-minded users, it could be proven, refined, and extended to others to shift the revenue base more broadly. As the percentage of user revenue increases, Facebook would be inherently motivated to be more user-value-first in its decision processes. Whatever the fair level of revenue per user with its current model, expecting revenue of comparable magnitude from a shift to user-paid revenue does not seem outlandish, at least for a significant portion of users who want and can afford a premium, ad-free (or ad-reduced) and privacy-strict service. For them, a rate of even $10 per month may not be unreasonable (perhaps even more for some users with full-feature, high usage and high ability to pay). Gradually, the broad range of users could be phased in, including large numbers at rates that are "very cheap or free." To the extent that Facebook and the others fail to shift their incentive structures deeply and quickly enough, external measures can be applied by competitors, and by government. Many have proposed competitive efforts, new "alt-Facebook"services that offer more customer-first business models and practices. FairPay can help make those strategies successful. But the path to scale at the level of Facebook seems slow and difficult. Given the severity and urgency of the crisis we are now facing, mandated action by Facebook may be required. Here too, changing the fundamental incentives -- and monitoring and tuning them to ensure that they work as desired -- is the best way to achieve results. Change can be mandated in much the same way that we mandate increasingly strict vehicle emission standards. Shifting at once to a reader revenue model would be challenging, and something Facebook management and shareowners might be very reluctant to pursue. But regulation could be staged to require that X% of revenue must be user-derived by some date -- with X starting small, but then increasing in stages over time. As X increases, incentives for tolerating ad-related abuse would be reduced and offset by pressure to be customer-first. Let Facebook figure out how best to do that, but give them targets over time, and hold them to it. If we force digital services businesses to find more win-win customer-sustained business models, they will find ways to to do that far better that we can yet imagine -- whether with forms of FairPay, or some variation on similar themes. That will make them and their users (and all citizens) much happier. But if we as consumers and citizens and regulators don't have the imagination to push them to use their imagination, they will not try very hard. Of course, given the gravity of the threat to public welfare and the urgency of change in corporate mind-set -- and the fact that Facebook currently provides what some might view as "essential" communication services along our social graph that we would not want to do without -- providing utility services -- there is an obvious extreme option. Nationalize Facebook, or at least regulate it as a public utility, funded by its users, with government subsidies as needed (much as was done with the Bell System). This might be done as a temporary custodianship that would revert to private control when appropriate. Such a structure would immediately incentivize Facebook to put public welfare first. That may seem drastic, but is that so unreasonable for an essential public service that can do great harm if misused? The Bell System was a regulated monopoly until 1982, when it was broken up into independent "Baby Bells" connecting to users, long distance services, and equipment suppliers. Telephone service regulation followed the earlier and still continuing example of railroads being regulated as "common carriers." Postal services have always been public services, paid in part by users, but subsidized by governments as needed. Public radio and TV are government-funded with voluntary payments by users. Hasn't Facebook become a common carrier? How can it be reasonable for Zuckerberg to have the unchecked, unmonitored, exclusive control of this new "Pa Mark" that that serves all of us as a utility (much as "Ma Bell" did)? Clearly, there is an antitrust case here, and the breakup of Ma Bell is instructive, as I explore more deeply on my other blog. Any of these options (alone or in combination) would begin to change the fundamental incentive structures of our essential digital services -- more or less dramatically. We can apply the heavy hand of regulation* -- but to the extent we can shift internal corporate operational incentives to align with consumer welfare -- we are likely to achieve better outcomes more organically, in ways that are more continuously adaptable to changing needs and ongoing technical advances. To the extent business see that and act to get ahead of this, they can solve the problem better that regulators, at least in large part. Whatever we do, we need to move quickly and decisively. Facebook still can take the initiative, and perhaps retain a high degree of autonomy. Alternatively, we may conclude we need stronger and swifter measures. In any case, it is essential that we put the consumer (and the public) first, by putting incentives in place to drive that. The surest way to do that is by having the consumer pay -- so that Facebook is driven at every level to satisfy them, and not the advertisers and hucksters who seek to buy consumer attention cheaply. We need to have the imagination to rethink our obsolete economic assumptions, to get creative about mass-customizing our value propositions, and to seek a path up this ladder of value. FairPay is one architecture that points in that direction. If you don't like that one, find another. In any case, we need to move aggressively on whatever path we can manage to find, as long as it leads toward full, fair, and transparent alignment of value creation and value capture. [**Update 4/10/18: Zuckerberg suggested in his Senate testimony that Facebook would “certainly consider ideas like that.” As reported: "By not rejecting the possibility of a paid product, Mr. Zuckerberg’s comment could be interpreted as endorsing the idea that Facebook might experiment with a version of its social network that relies on subscription revenue instead of advertising." 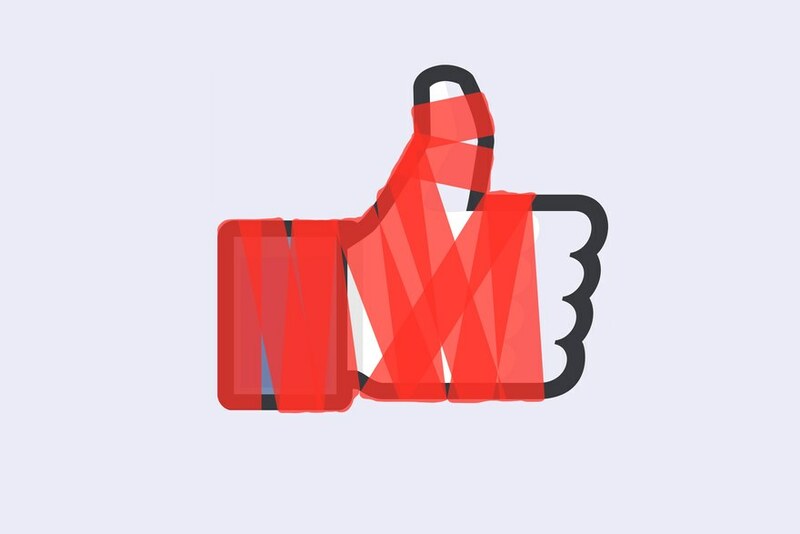 A newer post, Privacy AND Innovation ...NOT Oligopoly -- A Market Solution to a Market Problem, focuses on regulatory issues, and more on the business model problem is in Cool Hand Zuck -- What We Have Here is Failure to Innovate / Looking Toward a Better, Fairer Future. Related points are in my previous post, Zuckerberg: How to Fix Facebook -- Stop Hanging Us With the Ad Model! 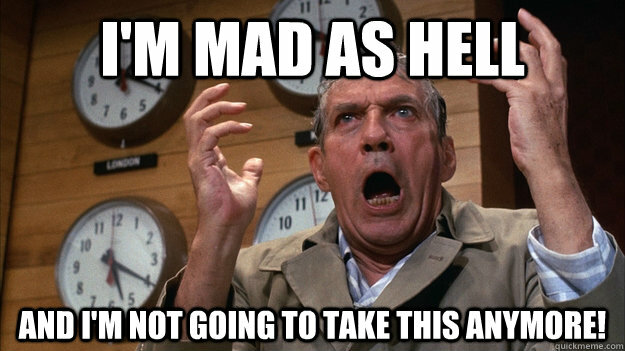 -- A New Economics, and my 2012 post, Beyond the Ad Model - A New Economics for Media. 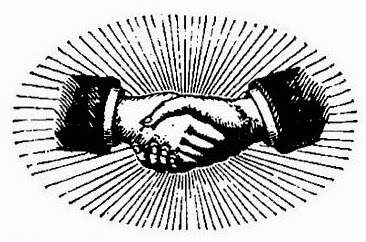 Another prior post, How Market Commerce Can Become More Cooperative, Fair, and Human, addresses Twitter (when there was some excitement about the idea of turning it into a cooperative). The same principles can apply to any digital service to consumers.